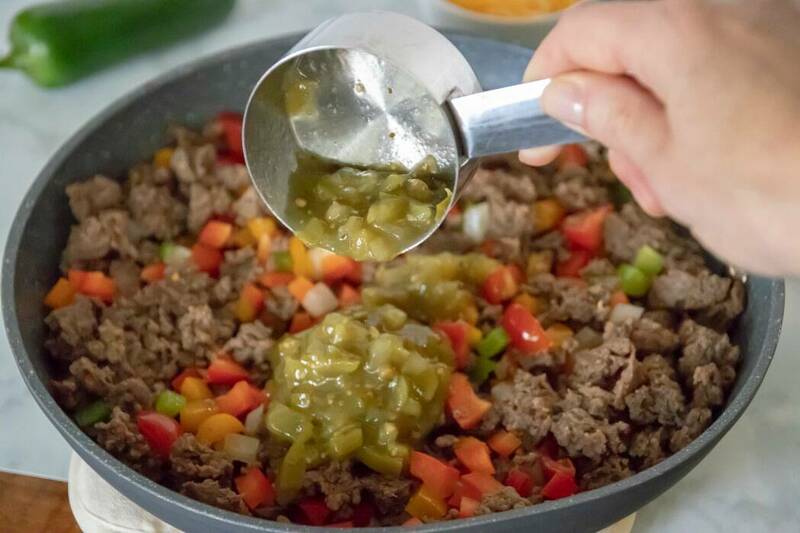 If you are trying out the Keto Lifestyle, then you are probably looking to make some of your favorites like TACOS !! 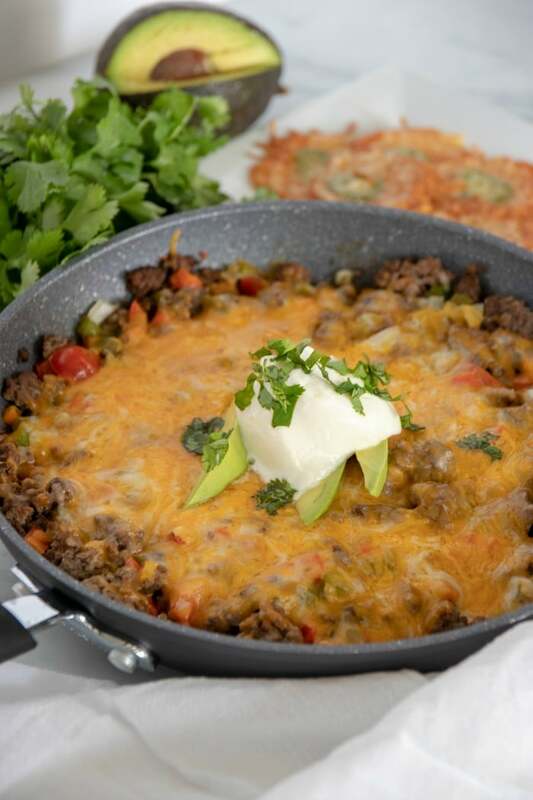 We’ve got you covered with this Keto Taco Skillet – Mexican Taco Skillet Low-Carb Tacos ! 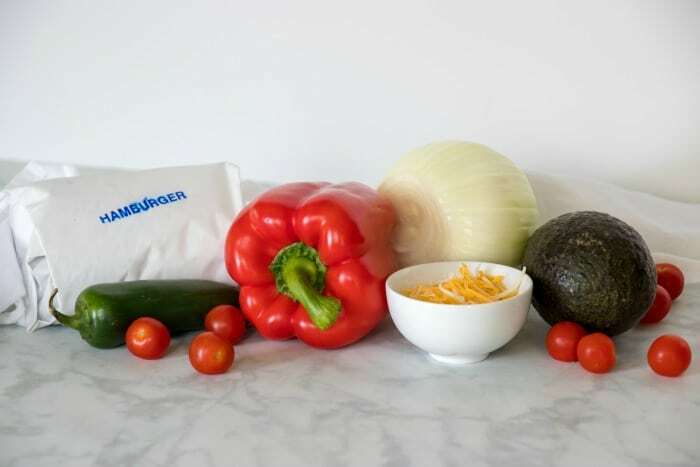 It’s Low-Carb and DELICIOUS! 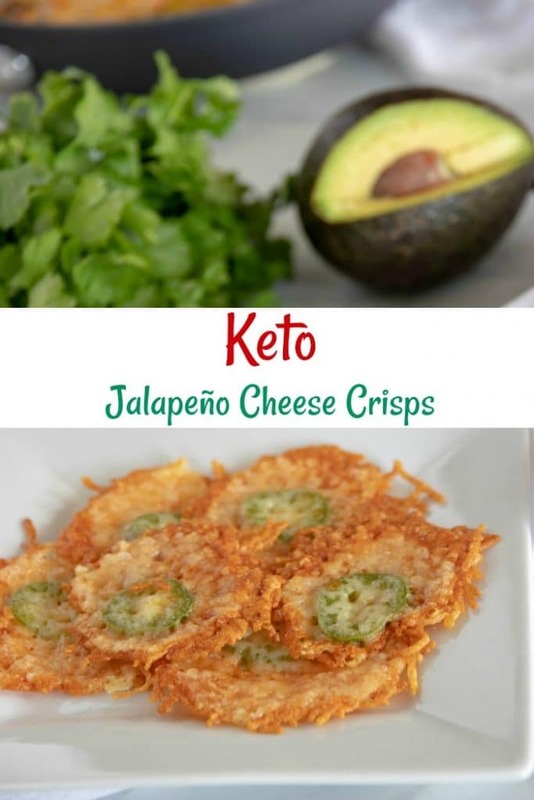 We also have a recipe for Keto Jalapeño Cheese Crisps that are a crunchy substitute for Taco Shells but better! Garnish with sour cream, cilantro and avocado. 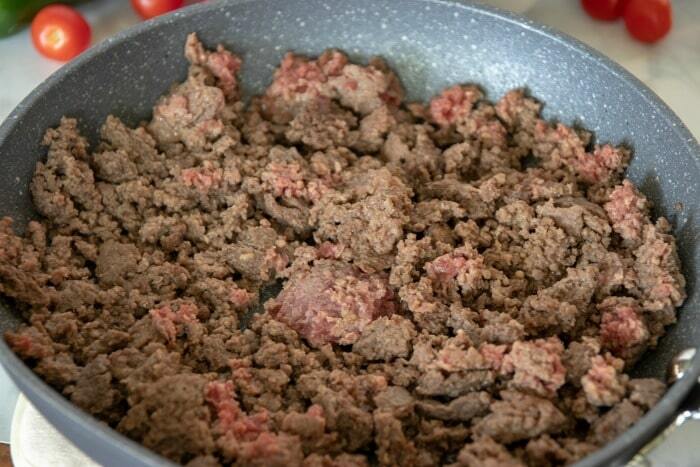 Cook ground beef until almost cooked through but still slightly pink in places. 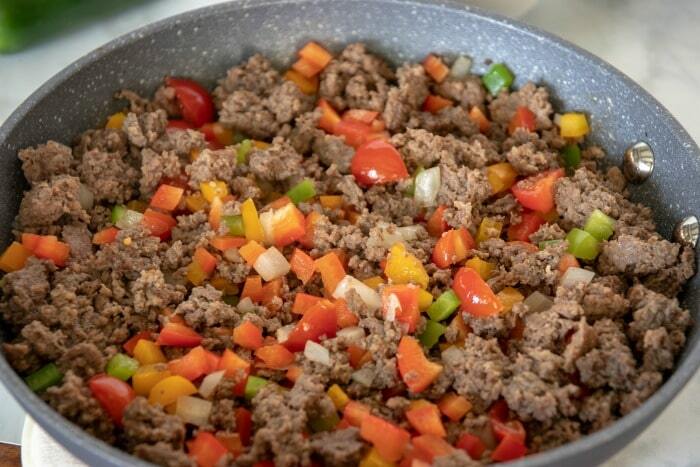 Add diced peppers, onions and tomatoes and cook on low for 5 minutes. 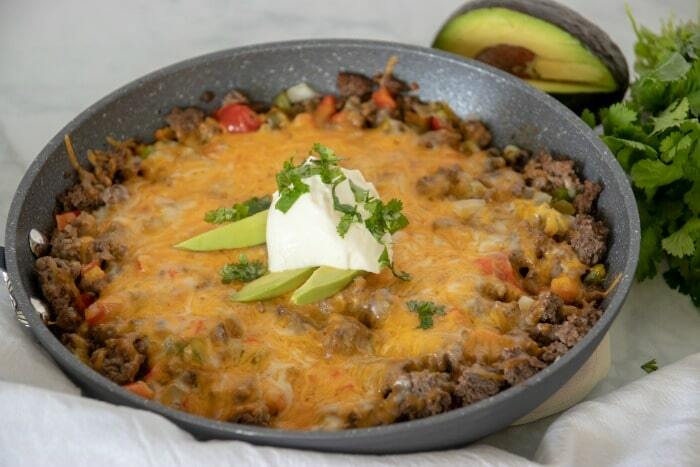 Add cheese and cover skillet fully. Cook on very low with lid on to melt cheese. Once cheese is melted serve with garnishes. 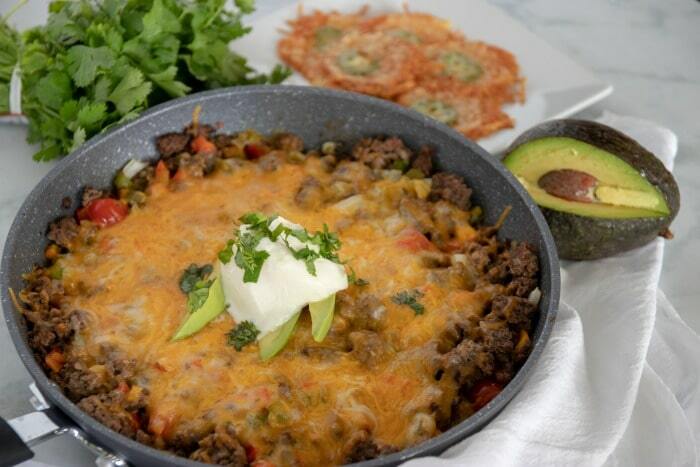 Enjoy using your cheese crisps to dip and scoop up your skillet meal. Add cheese and cover skillet fully. 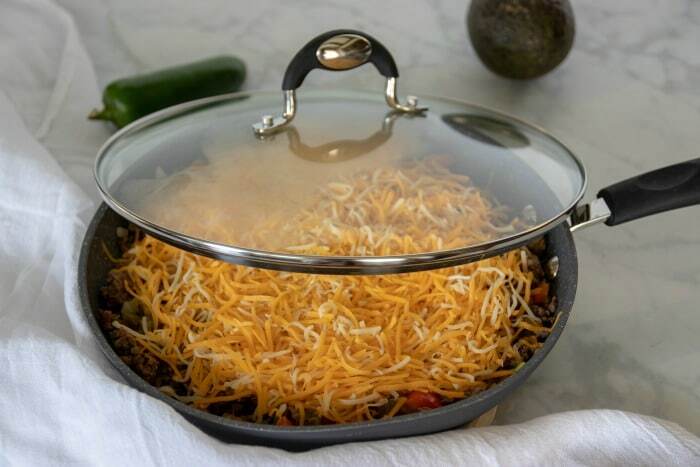 Cook on very low with lid on to melt cheese. 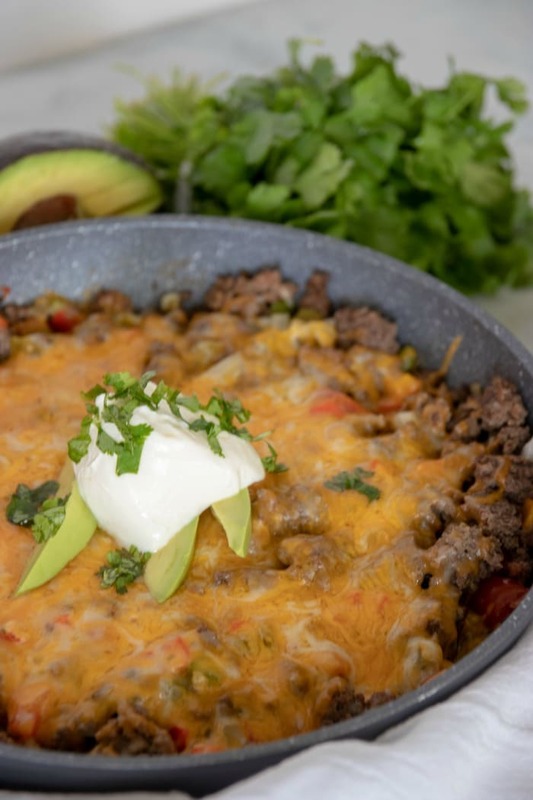 If you enjoyed this Keto Taco Skillet be sure to check out our Keto Brownies Recipe!